Looking to buy Boost Bongs? 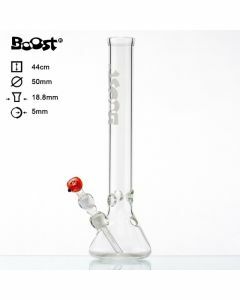 Look no further: The #1 Online Bong Shop in Europe has a wide assortment of Boost Bongs in stock! 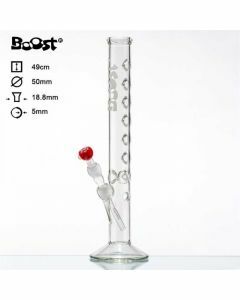 Boost Bongs are popular in the Netherlands, UK and Australia thanks to their high value. The bongs are made of high quality glass (often 5mm thick) which is nearly unbreakable, normal use assumed. If you want to know more about what others think of these magnificent pipes, read the boost bong reviews on our product pages! 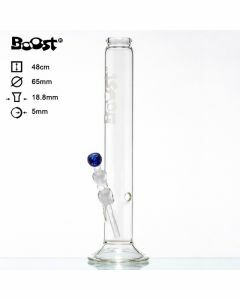 Besides Boost Beaker Bongs and percolator bongs, we also have Boost bong bowls, boost bong downpipes. Boost Bongs are made and designed in Amsterdam. They do not have an official site or boost bong online shop, but no need to go out the door to your local headshop, because we have 'em all!